Ji-li Jiang was born in Shanghai , China in 1954 and is the author of Red Scarf Girl , an autobiography in which she wrote about her hard childhood. For over twenty years, Ji-li Jiang nursed her childhood memories of surviving the Cultural Revolution in China , and finally brought them to life in her first book Red Scarf Girl . 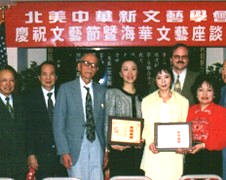 Since its publication in 1997, Ji-li has been invited to speak at hundreds of schools and conferences. Following up the success of Red Scarf Girl, in 2001 she published her adaptation of the Chinese classic folklore Magical Monkey King- Mischief in Heaven , which was serialized in 140 newspapers in USA and received so warmly by children - both young and old - that it was published in book form the next year. In 2007, this lovely story was selected for International Literacy Day by World Association of Newspaper in Paris and was serialized in 17 countries worldwide. Ji-li was a science teacher in Shanghai , China before she came to United States in 1984. She studied Travel Industry Management at University of Hawaii , and worked as a Corporate Operation Analyst and Budgeting Director. In 1992, she co-founded East West Exchange, a company that promotes and facilitates cultural and business exchanges between China and western countries. In 2003, she started a nonprofit organization, Cultural Exchange International to continue and expand the cultural exchanges she believes in. Ji-li Jiang now lives in the San Francisco Bay area, which she considers home. Her father, whose stage name is Henry O , still appears in various films and her mother live next door to her so they can see each other every day. 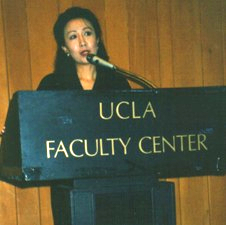 Besides writing, Ji-li continues to speak at schools and conferences about her books and native China . 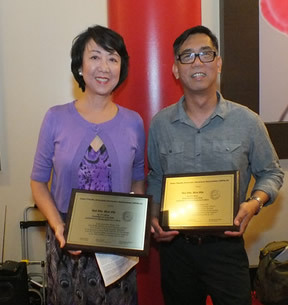 She also devotes time to various cultural exchange programs, including leading cultural trips to China for large groups. She believes that a better understanding among people around the world is the only route to global peace. CCBC Choices 2014, the Cooperative Children's Book Center (CCBC)'s annual best-of-the-year list. & Arts of North America.